The results of teeth whitening are subjective and individual bleaching results vary from person to person. Smile Brilliant Ventures, Inc. cannot guarantee a particular result. It is critical that you follow the individual product instructions as described on the SmileBrilliant.com website as well as the instructional information included with each shipment. Not following the instructions could, among other things, damage your teeth and gums. In some instances, even if you follow the instructions bleaching may result in blotchiness on a non-uniform tooth surface. The effects of teeth whitening fade over time and individual results may vary. Unexpected results may occur and may be irreversible. By buying a particular teeth whitening product, you accept all the risks associated with tooth bleaching and release and hold Smile Brilliant Ventures, Inc. harmless and its agents, employees and principals harmless for any issues or complications arising from or connected with the bleaching. Before purchasing any of these products, if you suspect having any allergies to any of the teeth whitening products sold on the SmileBrilliant.com website or you are not sure if the product is suitable for you, please consult your dentist before making any purchase. You have consulted with your dentist about using Smile Brilliant Ventures, Inc. products and are chosing to purchase or use Smile Brilliant Ventures, Inc. products at your own risk and in accordance with your local laws. 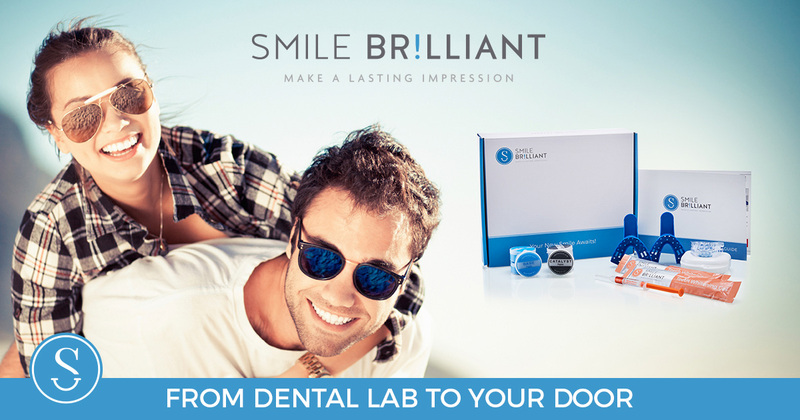 Smile Brilliant Ventures, Inc. products are not a substitute for regular dental care. Employees, staff, and/or dealers of Smile Brilliant Ventures, Inc. are not dentists. By purchasing product from Smile Brilliant Ventures, Inc., you agree to all warranties, returns, and credits are at the sole determination of Smile Brilliant Ventures, Inc. and that total liability is limited to the amount paid for the product/service. You have read and understood this agreement in full prior to making purchase and agree that you are full informed. Each Smile Brilliant Ventures, Inc. product is specifically designed to provide a specific whitening power. With products that offer higher whitening power there is a greater chance that you may experience tooth sensitivity and/or gum discomfort. If you are in need of dental work, already have dental work, or have staining from medication, ask your dentist if whitening is appropriate. Smile Brilliant Ventures, Inc. products designed to hold well to teeth. Do not use on loose teeth, restorations, or braces. Smile Brilliant Ventures, Inc. products will only whiten natural teeth. The products will not whiten caps, crowns, veneers, fillings or dentures.